POPULAR GIBRALTAR MODEL, 1699 SQ FT UNDER A/C, SEPARATE LIVING ROOM, FAMILY ROOM, AND FORMAL DINING ROOM, TILED THROUGHOUT LIVING AREAS, CARPET IN BEDROOMS, GRANITE COUNTER TOPS, STAINLESS STEEL APPLIANCES. EXTERIOR RECENTLY PAINTED. NEWER HOT WATER HEATER, UPGRADED TROPICAL OASIS LANDSCAPING AWESOME VIEW OF LAKE. GATED COMMUNITY WITH ALL THE AMENITIES.3 POOLS, FITNESS CENTER, BASKET BALL AND VOLLEY BALL AND TENNIS COURTS. 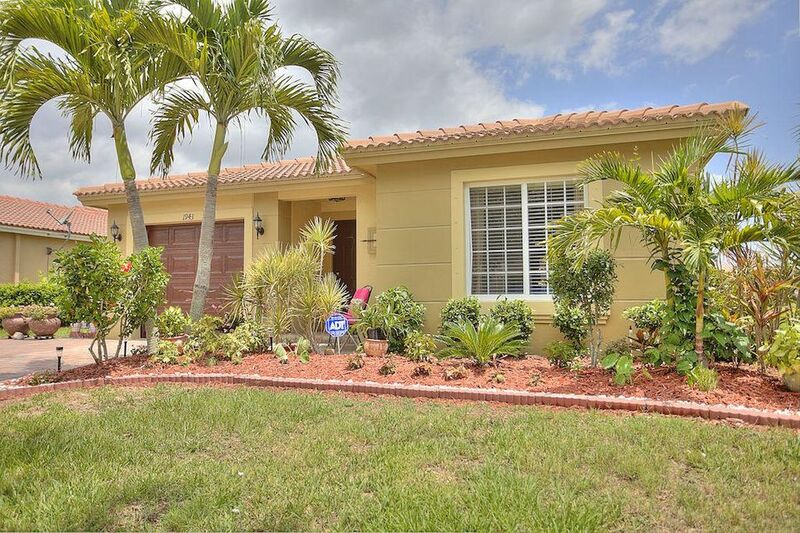 EASY ACCESS TO I-95 AND FLORIDA TURNPIKE, CLOSE TO POPULAR TRADITION AREA. LOW HOA FEE'S $152 PER MONTH.